Businesses with a plumbing leak can be in violation of city code and could be exposed to other potential damage. 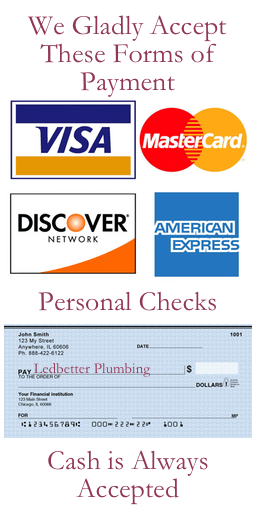 Ledbetter Plumbing has over 20 years of experience with identifying and repairing commercial plumbing problems. Call us today when your building is in need of commercial leak location and repair in Longview, TX. We have a variety of different services to bring your building up to code. Take a look and then call us to schedule an appointment. If your building has a problem with mildew, mysterious hot areas on the floor, astronomically high water bills or running water sounds when the taps are closed, there’s a good chance of a slab leak. Call Ledbetter Plumbing for Commercial Slab Leak Detection before the problem grows more serious. To avoid further damage and unnecessary cost with extensive exploratory work, our technical team can utilize high-tech electronic amplification to locate the source of the slab leak. Once we detect the leak, the Ledbetter Plumbing team will inspect the source of the problem. We’ll sit down with you and explain the problem as well as our recommendation for how to resolve it. Commercial slab repair can range from replacing a pipe (usually the best course of action for old plumbing systems), a simple epoxy coating for a plumbing touch-up, or a focused spot repair. Each case is unique and your associate will answer all of your questions before we get to work! 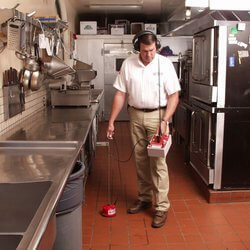 Over the years, has the plumbing drainage of your business slowed or developed mysterious gurgling sounds? There could be a clog or an object stuck in the sewer line. Call Ledbetter Plumbing to find the problem before the damage extends to something more serious. We might recommend a Commercial Video Drain Inspection to take a close look at the interior of the pipes. This saves money and time on more drastic physical exploratory measures and allows us to get right to work! The Ledbetter Plumbing team may suggest a pipe relining for extensive damage, where we’ll pull a new pipe through the system and position it to take the place of the faulty pipe. When an entire commercial sewer line needs to be replaced, we can perform a pipe bursting and remove the piping to place the upgraded system. We can answer your questions and then get begin repairing your commercial sewer lines. Call us today to schedule an appointment to learn more. Strange hissing noises, mysterious odors and dead plants outdoors can all be signs of a gas leak. Business gas line leaks can be deadly, so if you suspect that your commercial property has a gas leak, you’ll need to take action immediately. Call Ledbetter Plumbing to schedule your emergency gas leak inspection. Inhaling gas fumes can be deadly, and gas is extremely flammable. Evacuate your building immediately if you suspect there may be a leak in the gas lines. Don’t turn any electronic on or off, since an electric pattern change can cause a spark. Our team will locate the leak and explain your gas line repair options. Our experienced personnel will work quickly to correct the damage. 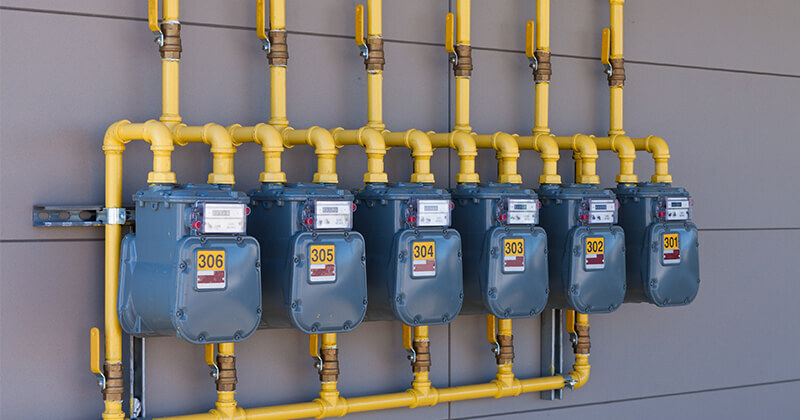 We take gas line repairs very seriously and the well-being of your and your staff will be our priority throughout the commercial gas line repair.